Arts and creativity often depend on grants and subsidy schemes for their financing. Are there other ways to finance creatives? Hacker Melanie Rieback will help to set the definition of a business model upside down. According to her, business models can be a tool for activism, for art, and for self-expression. After this workshop your vision of business models will never be the same again. Melanie Rieback is CEO and co-founder the world’s first non-profit computer security consultancy company. Unlike other cybersecurity companies 90% of the profits of Radically Open Security go to charity and the hackers collective operates on the basis of transparency and open source. Recently, Melanie founded Non Profit Ventures, which teaches entrepreneurs to follow their ideals and do business differently. Previously, Rieback performed RFID security research that attracted worldwide press coverage and won several awards. The workshop Business as Art is part of the Broadcasting from Babylon: Citizenship and Cultural Production series. The workshop Business as Art is part of the Broadcasting from Babylon: Citizenship and Cultural Production series developed by Amal Alhaag & Maria Guggenbichler as a DAS Theatre ‘Block Programme’. It’s free and open to all to participate. In the series we will investigate how citizenship informs cultural production, and how different forms of social engagement and place-making are currently developed by reclaiming and rewriting democracy through cultural self-representation and production. What can cultural practitioners learn from social movements, hackers, squatters and open-source activists? Each week, Josien Pieterse and Anne de Zeeuw (Framer Framed/Netwerk Democratie) invite different guests to explore a specific topic. 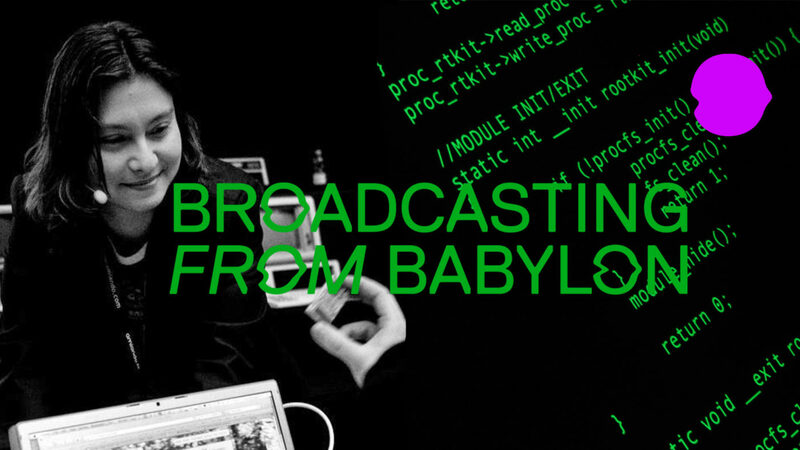 Read more on Broadcasting from Babylon series.